30 states down, 20 to go. 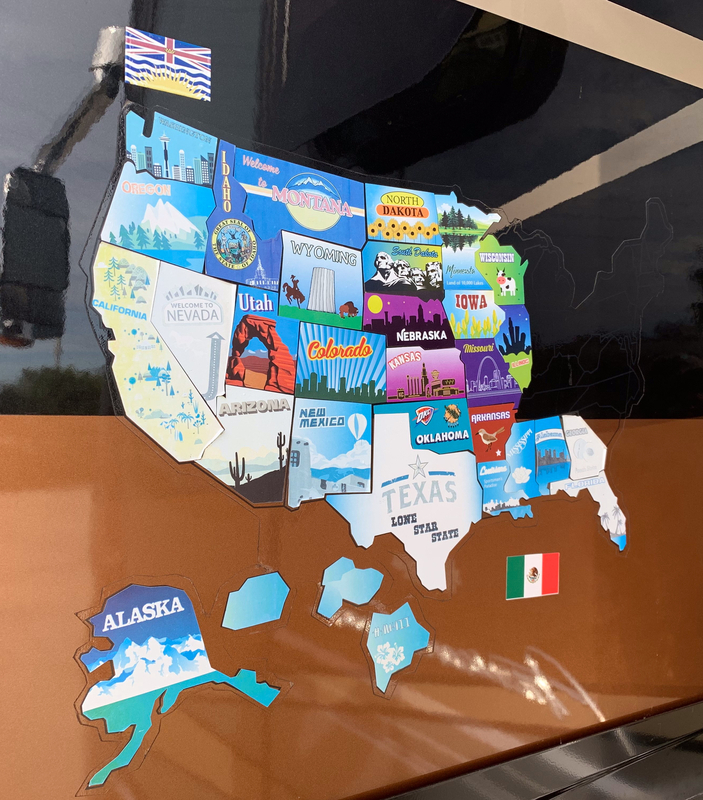 We will recharge in our hometown of Acworth, GA for a few weeks before completing our goal of visiting all 50 states by heading up the coast to the Northeast region. We have driven over 40,000 miles on this adventure; 19,500 in the RV and 22,000 in the Jeep. Thank you for reading the 113,149 words we have typed in the 130 blog posts! It’s lovely to see that we’ve had over 50,000 views from people all over the world. We sought out on this adventure to provide our children an education of a lifetime. Not only the historical and scientific aspect of the education in our country but also of prioritizing family and focusing on experiences over stuff. We have learned so much and our family is closer, physically and figuratively, because of it. We started blogging about our adventure simply as a journal for us to record our explorations and for our family and friends to keep up with us. We’ve realized it is so much more. We love hearing we’ve helped inspire others to travel more and plan their own vacations as well. We hope you will continue to follow us to our last 20 states over the next 8 months. Hope we can catch up with you when you’re in Maryland, DC, or Philly! That would be awesome!!! I can’t wait!